So what are you doing on a mid week evening? We are setting up manicure station and offering manicure services at the WAN x Vaniday event in Suntec City! It was raining just before we got there so we were hoping that the turnout will be fine. WAN is an Asian inspired premium club and outdoor bar + kitchen. The interior decor is decadently Asian. It’s the first time we’re setting up on a high table and stools, but it worked out just as fine. The ladies stood by our station and chatted as they waited for their turn. Getting ready for ladies night! Are you planning for a corporate, social or private event? 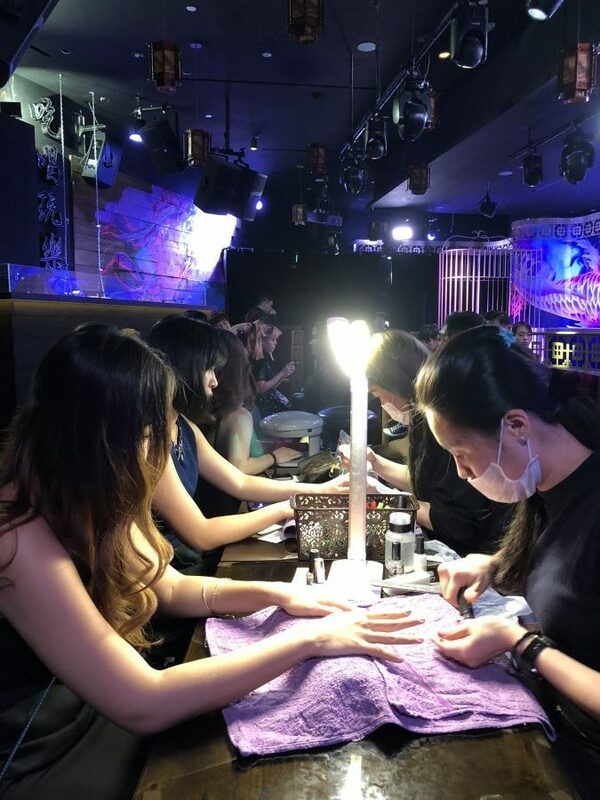 A manicure booth is well-received by ladies and (don’t be surprised) the men too! 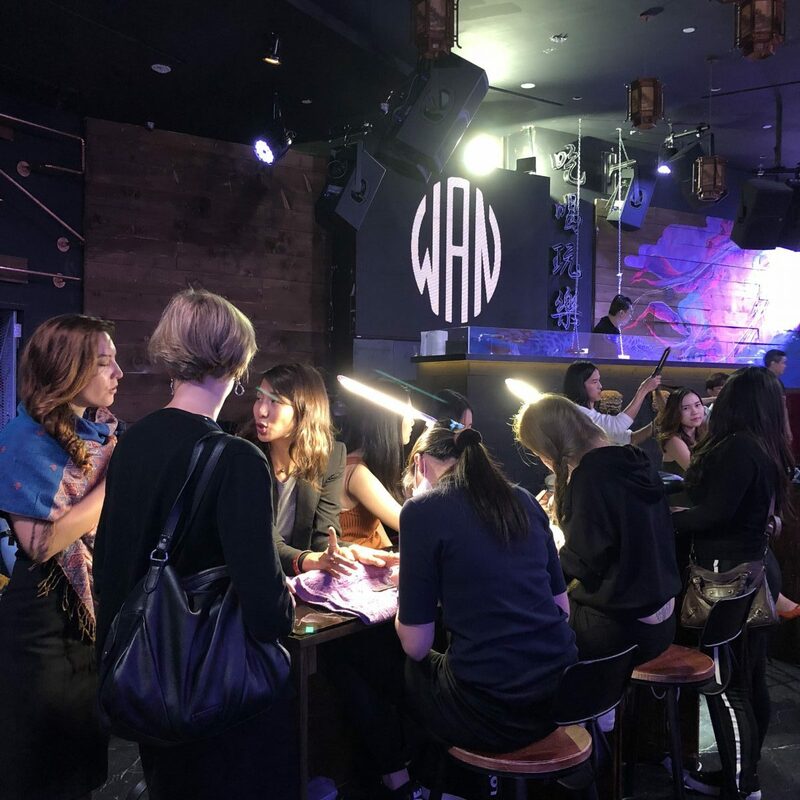 Giving your guests a treat by offering them manicure services at your event is not just a thoughtful gesture but also add an interesting and fun element. We are experienced with offering manicure services at events and endeavor to cater according to our customers’ need. Just let us know what you have in mind and we’ll work out a suitable arrangement for you. Advance booking is highly recommended, so it’s always a good idea to plan ahead. Have questions or would like to receive a no obligations quotation? Send your enquiry to us at CONTACTUS@TWENTYNAILS.COM.SG.